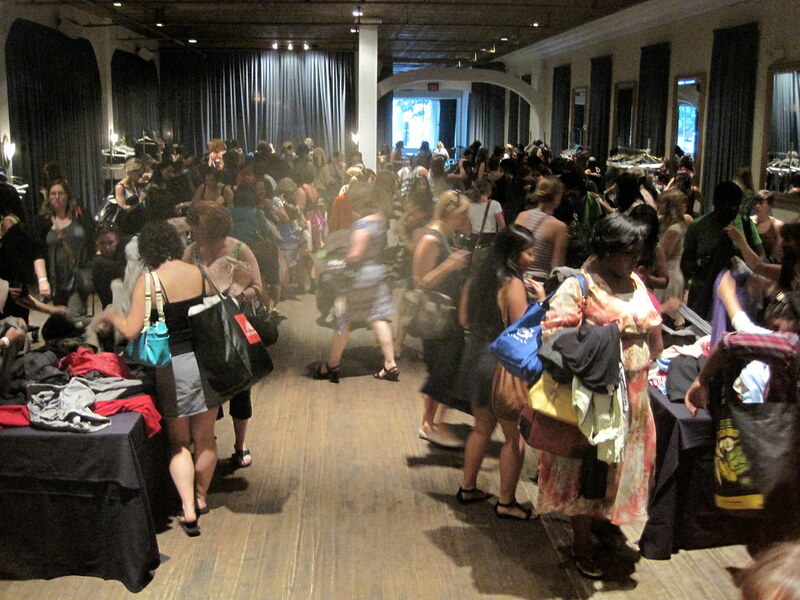 100+ purposeful women in a room full of free clothes. Behold: the Swap. Even with my rather pathetic swapping skills (here’s a tip: put down your glass of wine), I managed to walk away with some pretty solid finds. 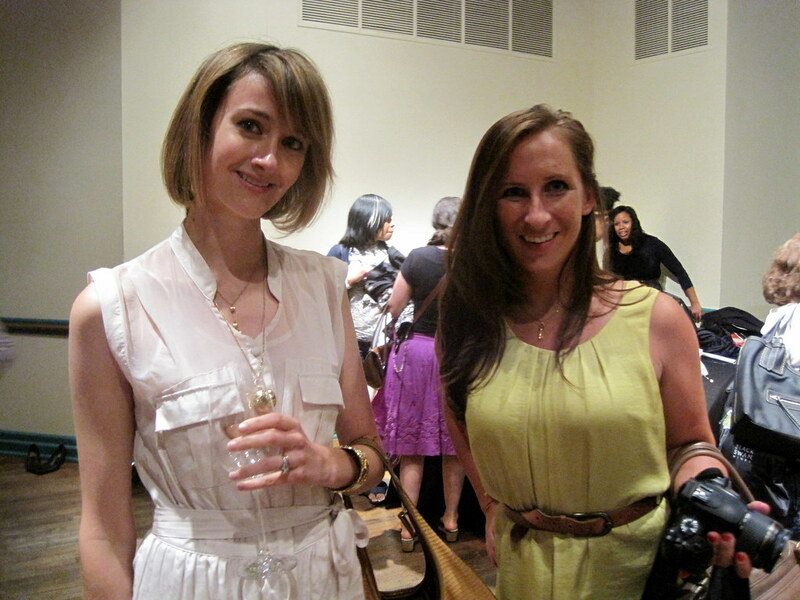 Major thanks to the lovely hosts, Amy and Melissa, for putting on such on such an amazing event! 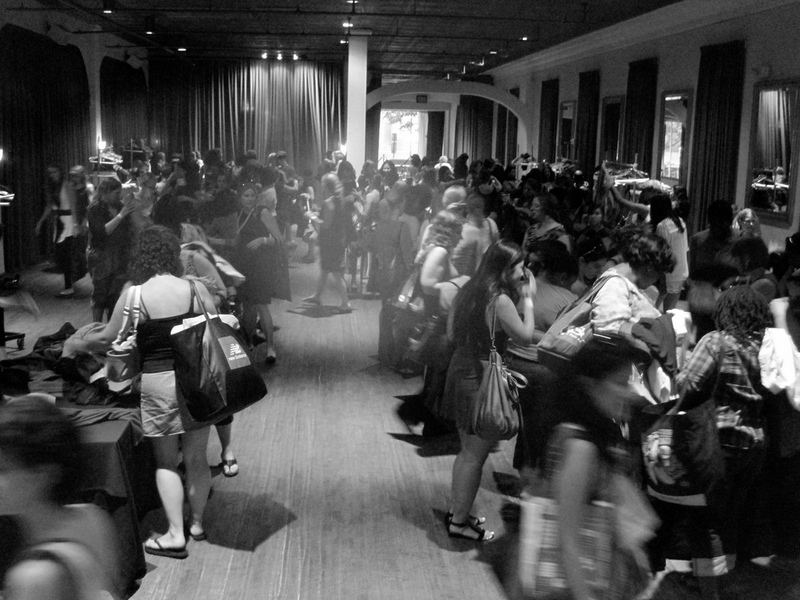 My favorite thing about this event (aside from the free stuff, of course) was getting to see many DMV bloggers (like Vivi, Christen, G., Vanessa, Alina, Megan, Elizabeth, and Vyque) outside of the virtual social-sphere. Looking forward to the next one! Looks like a lot of fun. Love your white dress! I wished I fixed my necklaces a bit before taking the picture. Ah well. For my 1st clothing swap, it wasn't bad at all. 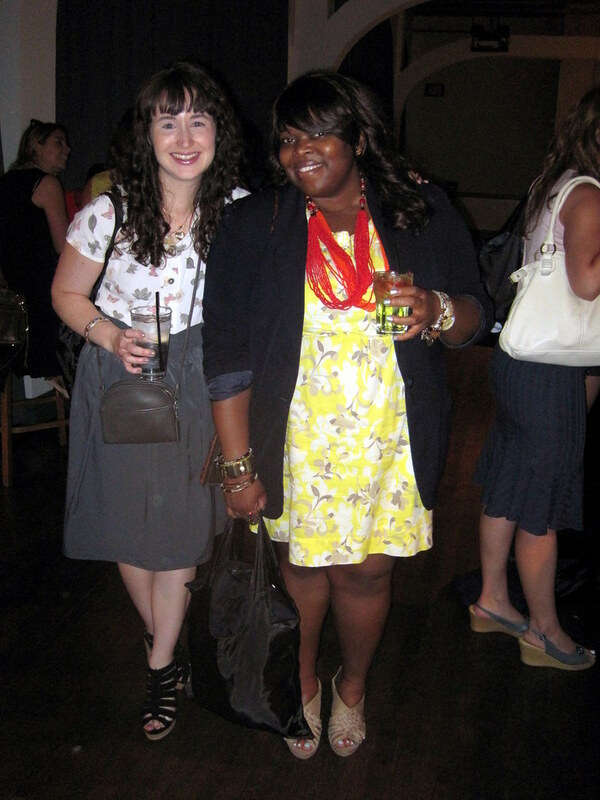 But like you said, the best part was meeting other DC fashion bloggers. Hope to see you soon at another meetup! Agreed, it WAS fun meeting DC bloggers in person. And now that I've "sobered up," I actually came away with some pretty solid finds. Enjoy the rest of your weekend! im having a giveaway on my blog if you are interested.. This looks like it was a fun event! Wow, this looks like such a fun event! I wish that these types of things existed where I live. Alas, this is what come of living in a small town. that is way cool…totally wish they would have an event like that near home! Oh, would have loved to see what you ended up with. I soooo would love an event like this. My city never has them. I am going to google though. It was so great to meet you! Love your photos! Was so great to see you! It was so nice to meet you! And I was wondering how you were going to swap while holding that wine glass, haha! It was hard enough for me without holding a glass!